Robot Mode: In robot mode Beachcomber is a very, very close match to the G1 original, just less boxy and more posable. Universe Beachcomber is a bit taller, leaner, and he has individually moving legs with knee joints, which is pretty good for a Legends-class figure. No elbows, as his arms are just sculpted into the insides of the car doors, but it looks okay and he is still more posable than most other Legends figures from his wave. There is little more I can say about this robot mode. It looks good, it's clearly Beachcomber, the detailing is nice. So no complaints on this front at all. Alternate Mode: In vehicle mode the differences between the G1 and Universe versions of Beachcomber are a bit more profound, but the vehicle is still a blue dune buggy. Though one must say that the G1 version actually carries more detailing here. 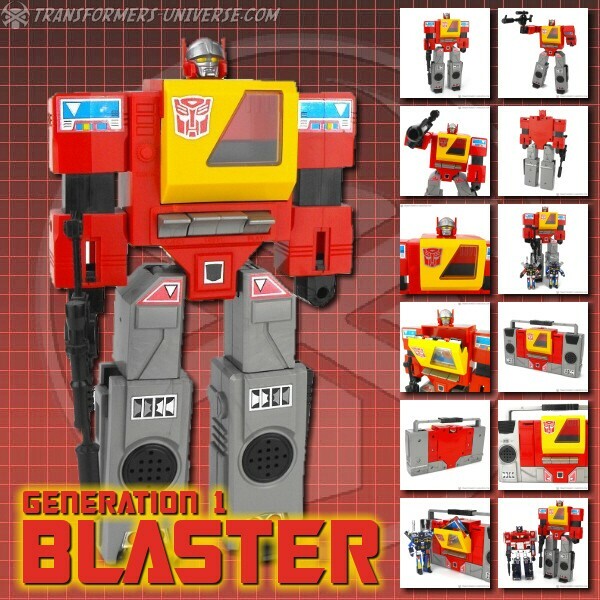 Universe Beachcomber has but hinted-at headlights and no visible engine. Instead he has a spare wheel on the back and a gun on top. The gun doesn't really make a whole lot of sense, seeing as Beachcomber was the pacifist among the Autobots, but whatever. Differences aside, though, it's still a good, solid vehicle mode, but nothing in any way spectacular. Remarks: Beachcomber is among my favorite G1 characters. A laid-back pacifist usually more concerned with exploring the wonders of nature than fighting Decepticons, he had center stage in one of the most mature G1 episodes of them all, "the Golden Lagoon", which showed the horrors of war. Beachcomber's name has been reused several times since G1, but usually only for repaints. Universe represents the first time the original character returns since G2. And it's a very faithful, very close-to-the-original version. Not in any way a spectacular figure, mind you, but a very nice resurrection of one of my favorite G1 characters. So if you're not a Beachcomber fan, please subtract some nostalgia bonus from the rating below. --Review--Robot Mode: I never really liked Beachcomber and he did nothing for me in G1. But this Universe version is at the very least a very close match to the G1 version. Apart from his size he's a very cool figure. Especially his legs, which are very posable, making him very agile. The arms, on the other hand, which consist of nearly the entire sides of the vehicle, are completely stiff and can only be moved at the shoulders. The sculpted hands would have been better if they were colored differently to be more visible. Alternate Mode: Beachcomber transforms into a dune buggy and doesn't look half-bad doing it. The spare tire and the gun on the rear look pretty tight and the high-set suspension gives him a nice offroad feeling. Nothing more to say here. Transformation: Nothing much happens here, of course. This is a Legends figure. The arms, which make up a large part of the vehicle mode, don't hold in position all that well, causing the buggy to look a bit like a jumble of parts. Remarks: I won Beachcomber at the raffle at C.O.N.S. 2009 and one doesn't look a gift horse in the mouth. As a nice little reminder of a really cool day Beachcomber does his job wel and has a good alternate mode to boot. There should be more buggies in the Transformers universe.